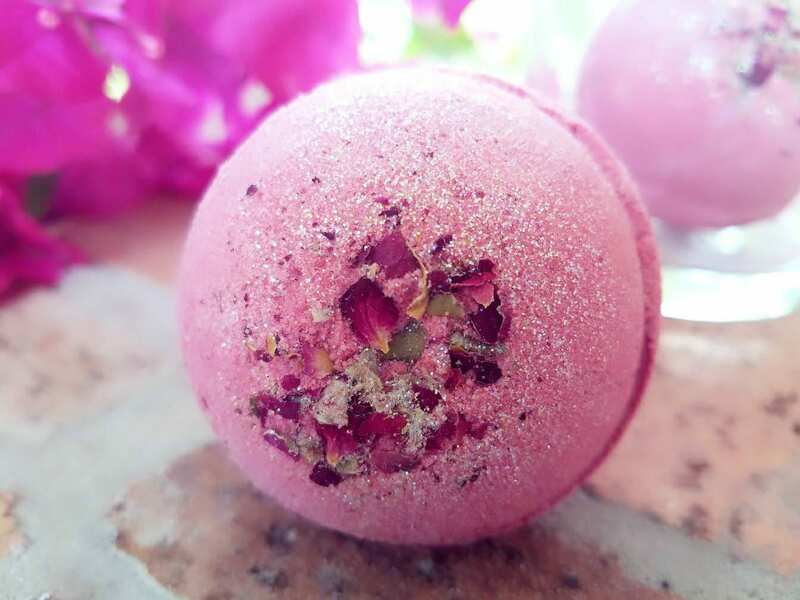 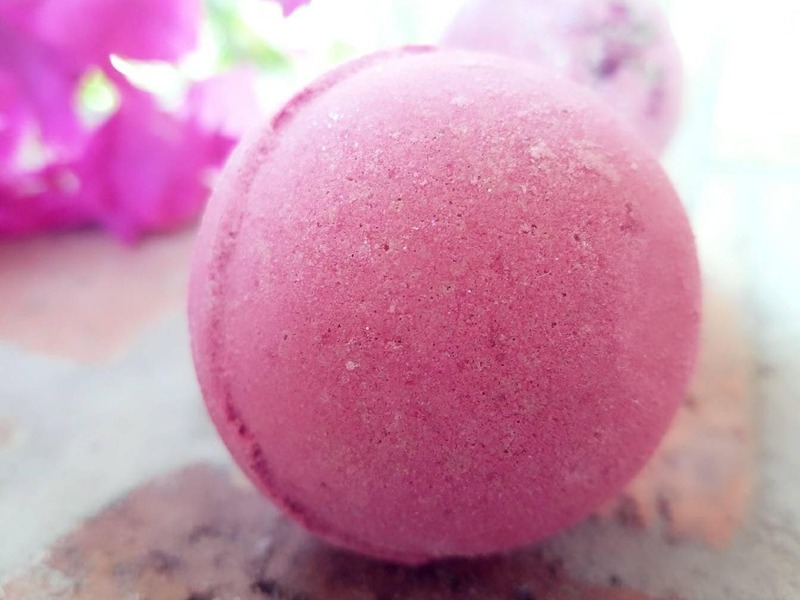 This Petal Dance handmade bath bomb weighs approximately 4.5 oz and is roughly the size of a tennis ball. 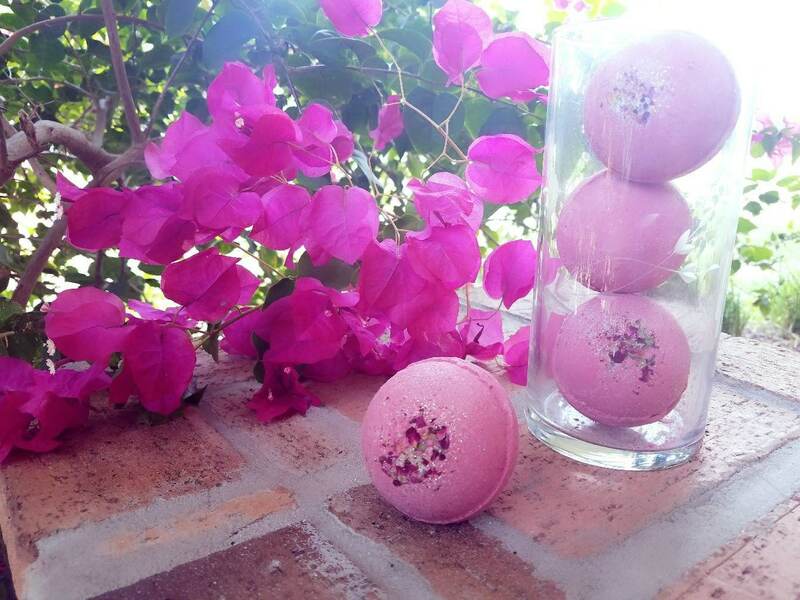 Enjoy a delightful bath soak with our amazing "Petal Dance" bath fizz. 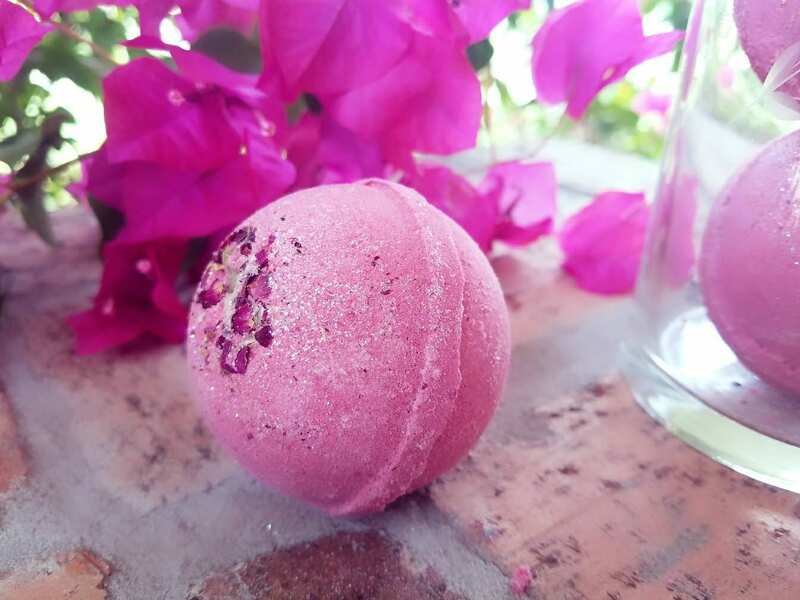 Rejuvenate your senses with the aromatherapy of citrus, cherry blossom, hydrangea, apple and peach with a hint of blonde wood. 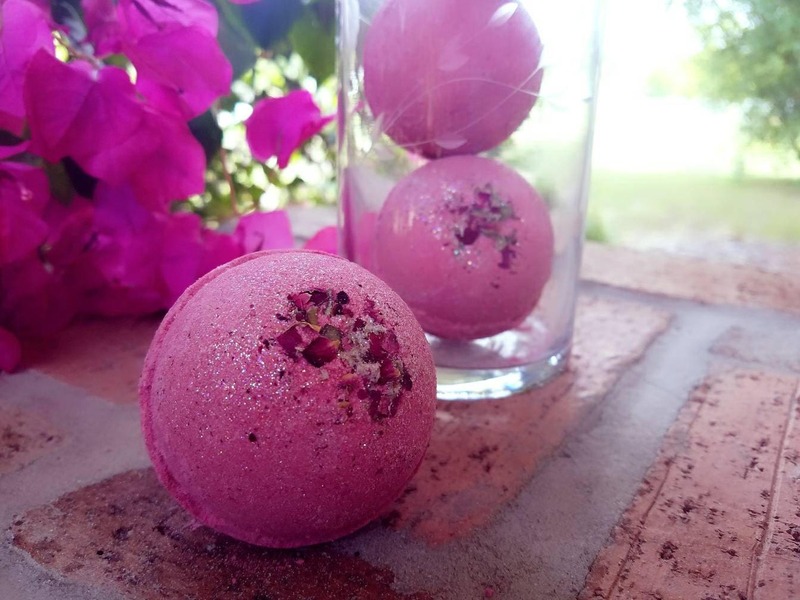 This bath bomb is rose color with dried rose petals and cosmetic grade glitter within the bath bomb.